Following the crash of an Amtrak train in Olympia, Washington, we’re already hearing cries for more automation to prevent such disasters. Will that happen in aviation, too? The tragic crash on Monday of an Amtrak train that left at least three people dead and dozens injured, was associated with excess speed, a lot of excess speed. What does this have to do with aviation? Plenty. Reports are that the train was going 80 mph on a newly opened section of track that had a 30 mph limit. No word on whether it was pilot error or mechanical failure, but the train, just like an airliner, has black boxes, so we’ll likely find out what happened and why. The crash is already raising cries for the faster adoption of a technology called positive train control, an already widely adopted set of technologies that seeks to control a train speed and prevent loss of control, which is just as bad a thing in trains as it is in airplanes. Positive train control was originally mandated by Congress following a fatal crash in California almost a decade ago, but it has not yet been fully implemented. But it will be. Trains are, in many respects, a more complicated platform to safeguard than planes, in large part because there are so many moving parts: the trains, the operators, the tracks and other trains. Figuring out a way to take these variables into account and allow normal operation while still keeping an eye open to problems down the track is a daunting task. Just as it is in aviation. 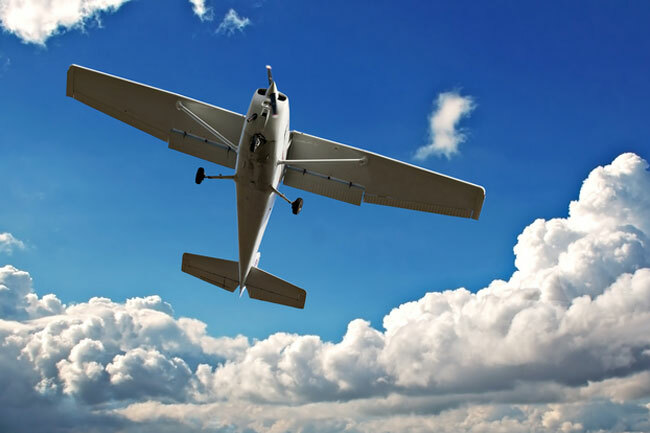 Over the past few years there have been a number of calls for such a system to keep pilots from intentionally flying an airplane into harm’s way. The loss of Malaysia Flight 370, a Boeing 777, for reasons that are still a mystery, and the intentional crash by the co-pilot of Germanwings 9525, an Airbus A-320, are two aviation tragedies that were or likely were the result of pilots purposely crashing their airplane and in the process killing everyone onboard. At the time of the Malaysia 370 disappearance, there were calls for systems that would prevent rogue pilots from taking such actions. In terms of loss of life, it’s a more pressing issue for planes than for trains. Depending on which events you deem to be pilot-induced crashes, pilots taking control of a plane for use as a weapon or means of suicide has caused the direct loss of thousands of lives, or more, depending on where you draw the line with cause and effect. General aviation suffers too many but far fewer fatalities. In a typical year, there are between 300 and 400 fatalities associated with Part 91 flying, and most years there aren’t any fatalities associated with intentional pilot actions. In a bad year, there are at most just a couple of fatalities. As far as cars, trucks and buses are concerned, well, the death and injury toll there is gruesome. Every year tens of thousands of Americans die in road accidents, and tens of thousands more are injured. We’ve already got autonomous controls built into a lot of late-model airplanes in the form of automatic envelope protection, though the pilot can override it if they so choose. Cars’ safety systems are getting more and more automated, too, with such features as lane control, automatic braking and blind spot collision avoidance. All of these systems would almost certainly save a lot of lives if universally adopted, though they might claim a few lives in the process, too. Somehow, as pilots we find it unacceptable that we might not be able to control our own destiny, that our judgment and skill would be overridden by machines. Most aircraft accidents are caused by pilot error, of course, but somehow that doesn’t stop each of us from believing we, personally, wouldn’t make that error. It’s a good thing that in the grand scheme the impact on the safety record of light aviation is small. One hundred times more people get killed in automobile accidents than die in airplanes in the United States in a typical year. As much as I don’t like the idea of the airplane ever taking over for me, I could live with a system that I never knew was there until the day I’d screwed up so badly there was no recourse but to have the automation save the day. Still, would I voluntarily put it in my airplane? It’s a tough call. Maybe I would and maybe I wouldn’t. I have flown extensively in aircraft with such systems, and, with limited exceptions, I never knew they were there. In two instances, both times of very steep approaches after getting slam dunked by ATC, the envelope protection system warned me that my descent rate was too great. In any case, it’s moot, at least for now. For the foreseeable future such systems will surely be optional, and if we keep improving our safety numbers every year, it’ll probably be up to us whether we adopt them in our personal airplanes, or not. If you want more commentary on all things aviation, go to our Going Direct blog archive. You can make something fool proof, but you can’t make anything Damn Fool proof. Regardless of what automation is installed, someone will find a way around it. For all we know on the train, now, something broke and wouldn’t let the engineer slow it down. Do you really want an automatic system making the decision of whether or not to deploy a ballistic recovery parachute, knowing that software bugs may lie in wait for years before striking?